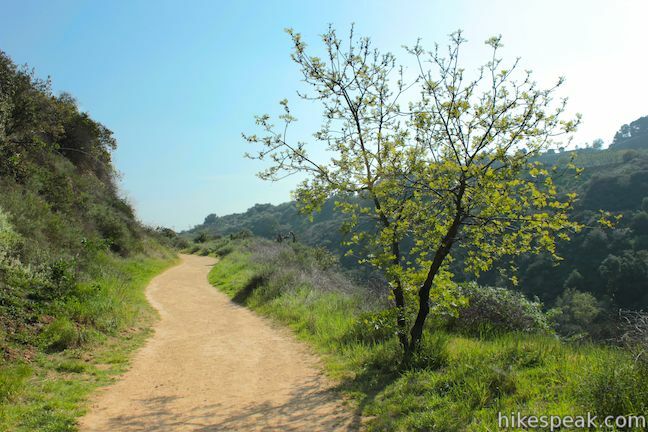 If you are looking for a nice loop hike in the Santa Monica Mountains above Beverly Hills, give Hastain Trail in Franklin Canyon Park a try. 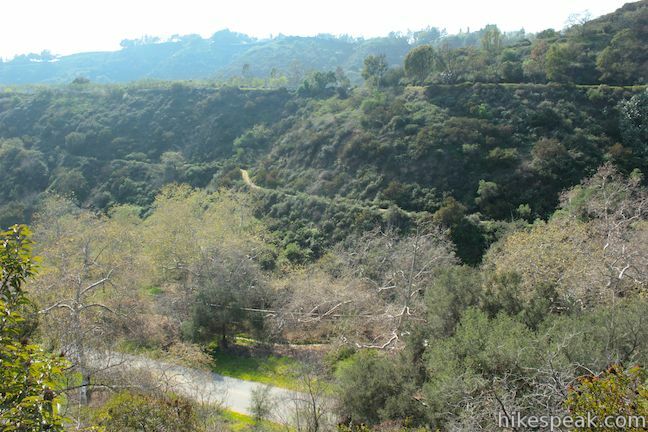 Hastain Trail can actually be used for two loops, one easy 1.8-mile loop with 350 feet of elevation gain and one moderate 2.2-mile option with 550 feet of elevation gain. 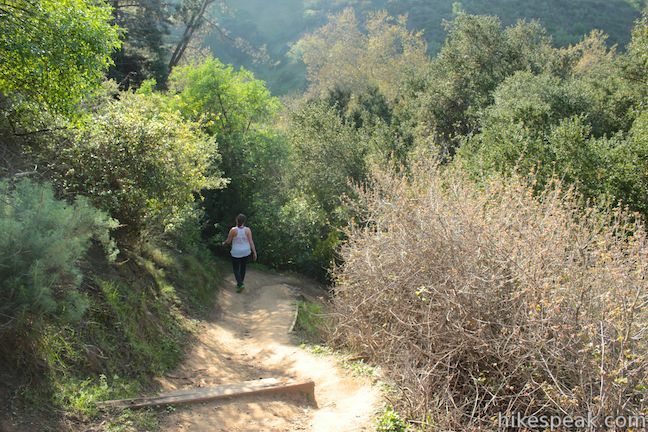 Each trek is a satisfying way to explore Franklin Canyon Park. 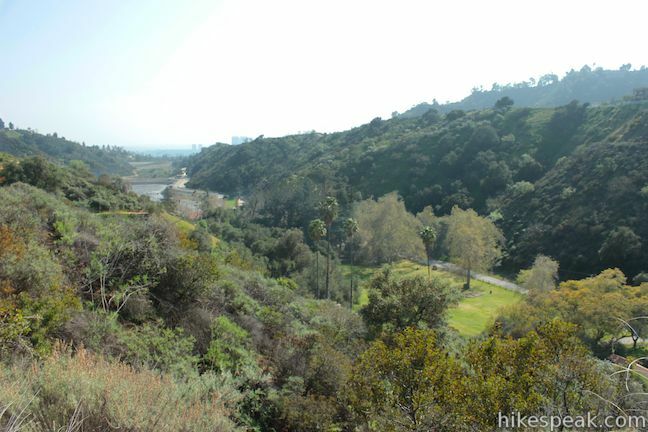 Both loops begin the same way, heading up Hastain Trail from Lake Drive within Franklin Canyon Park. 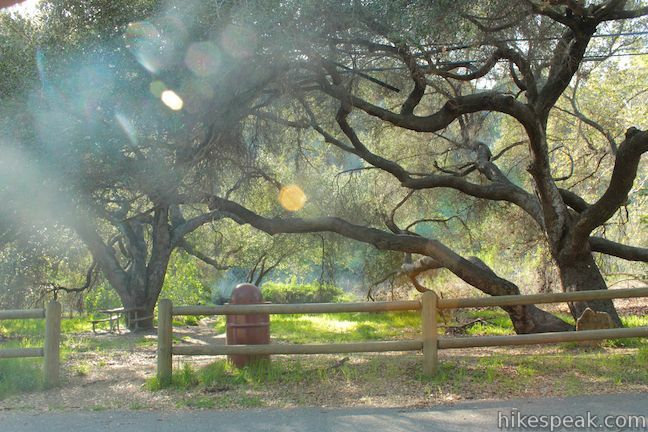 There is at information panel at the trailhead with a rough map of the Hastain Trail. 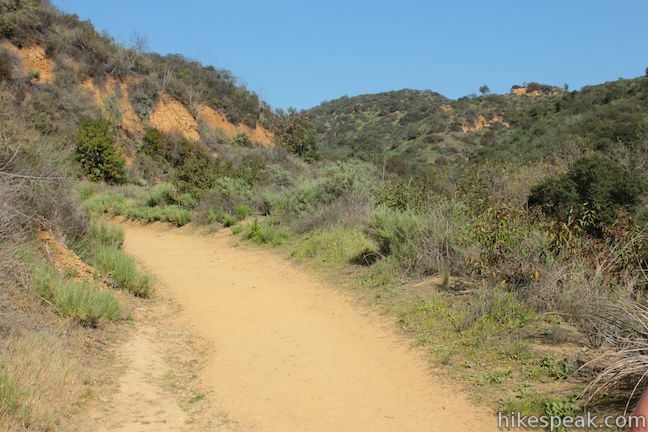 The wide dirt trail climbs up the east side of Franklin Canyon. 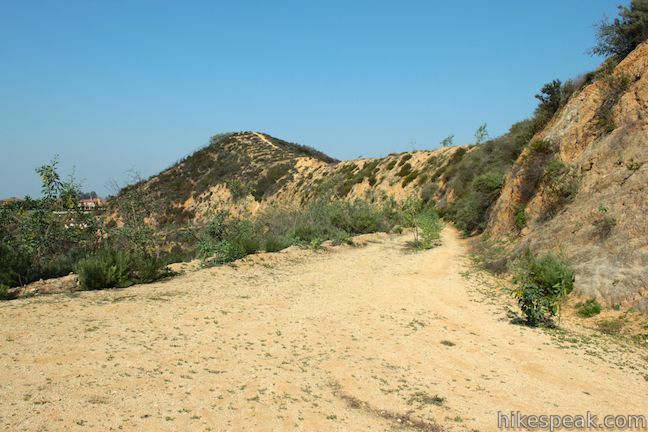 At 0.4 miles, you will pass a single track shooting up the ridge to the left. This is the steepest section of the tougher upper loop (and you could easily walk right past it). 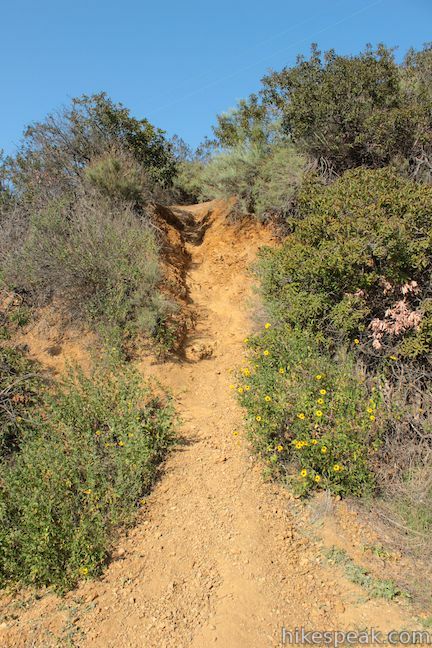 The steep single track has slippery footing, so you may want to hike up this way instead of down. 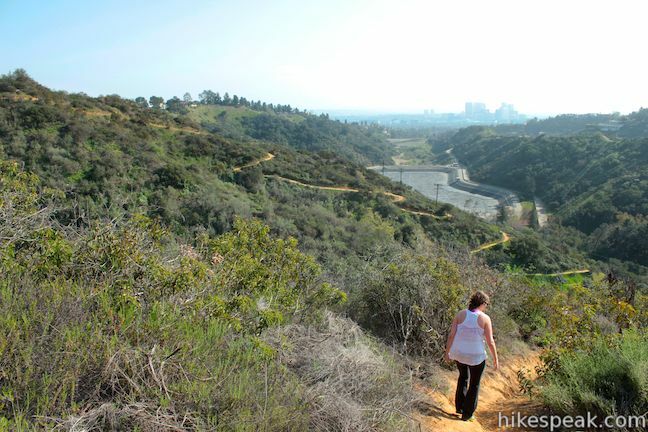 To hike down the steep single track, or to hike the easier lower loop, continue up Hastain Trail, which makes its way southeast around a crease in the wall of the canyon. 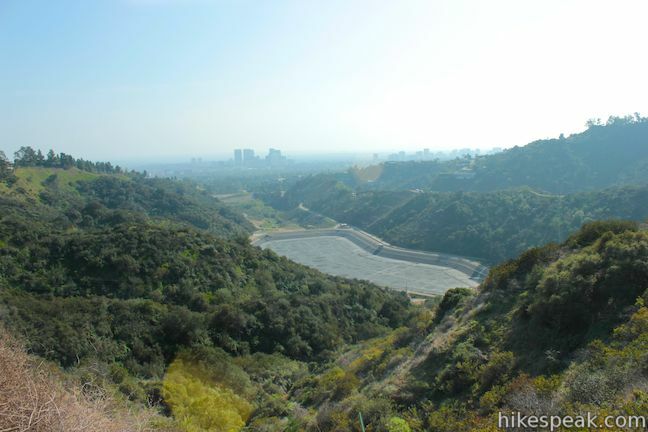 At 0.7 miles from the start, you will pass through a gate in a chain-link fence and turn into a draw in the ridge that turns the trail south toward a landing that looks out over Lower Franklin Reservoir and Beverly Hills. 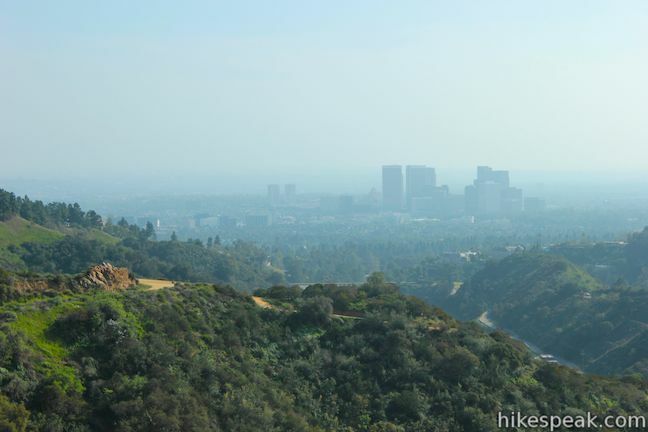 This great viewpoint, 0.95 miles from the start, is also the point where the two loops split. 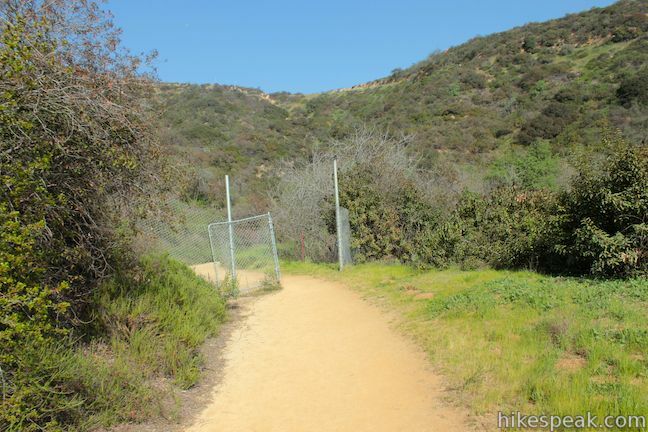 To the right, a single track descends into Franklin Canyon for the easier 1.8-mile loop. 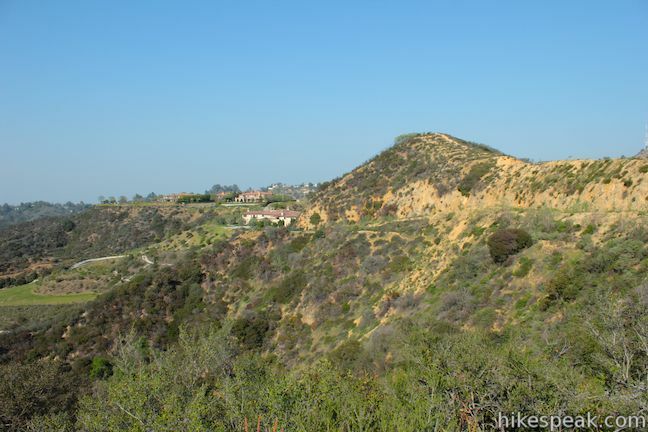 To the left, alongside an outcropping of rocks, Hastain Trail continues up the ridge for the tougher 2.2-mile loop. 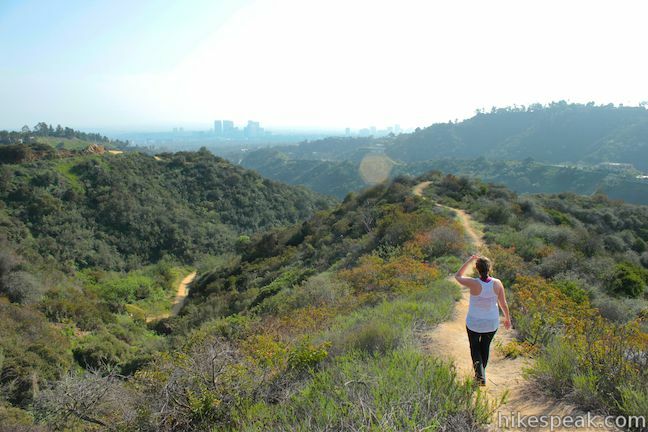 Take in the view and proceed in either direction. 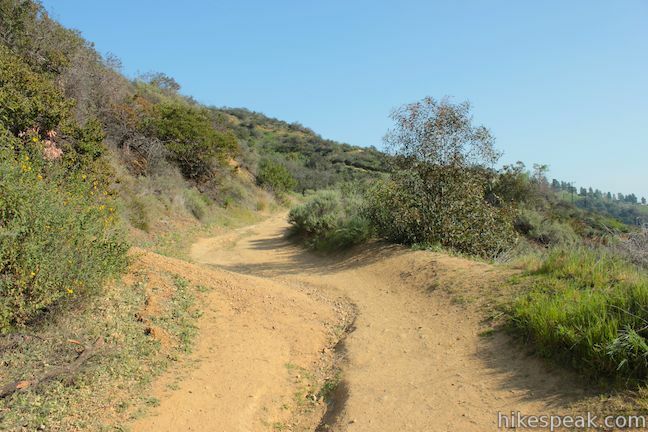 If you are ready to descend, turn right onto the single track (no bikes) and take a string of switchbacks down the spine of a ridge into Franklin Canyon. 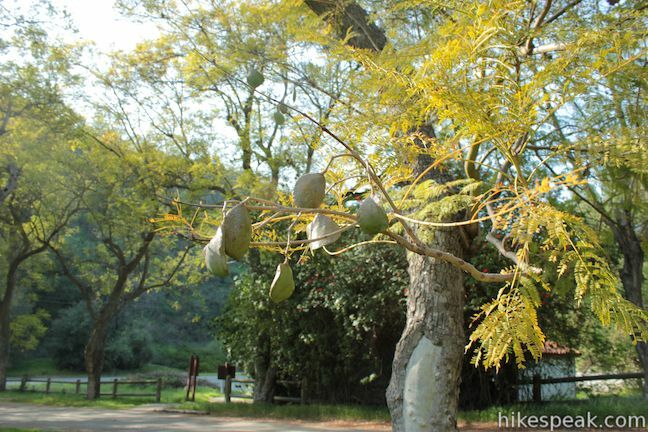 After 0.4 miles, you will reach the canyon bottom where there is a large grass lawn lined by sycamore and jacaranda trees. 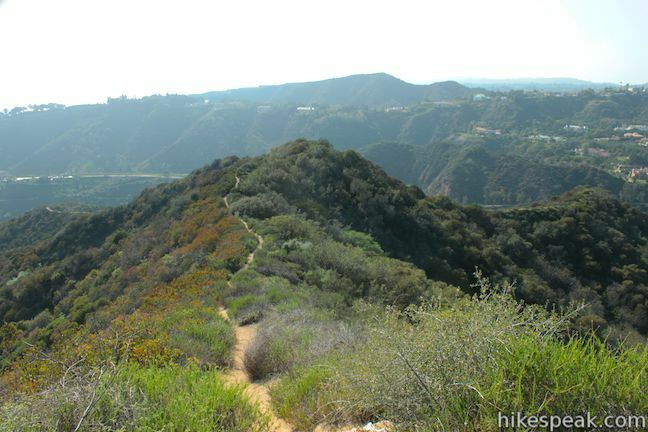 Begin hiking up the canyon and take one of several routes back to the trailhead. Walk across the lawn to a driveway heading up to a staff residence. 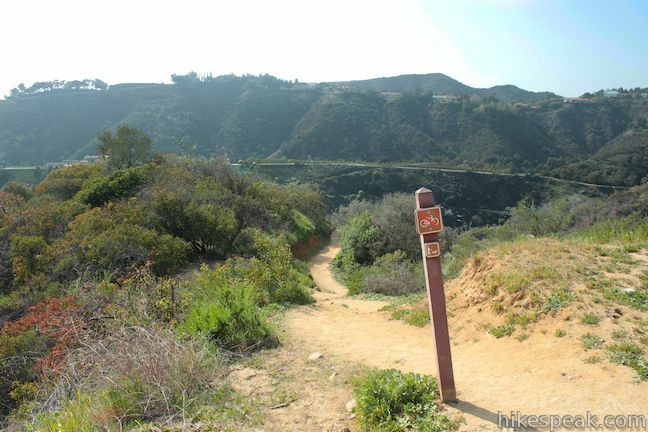 To the right, next to a trail kiosk, is one path heading up the canyon. 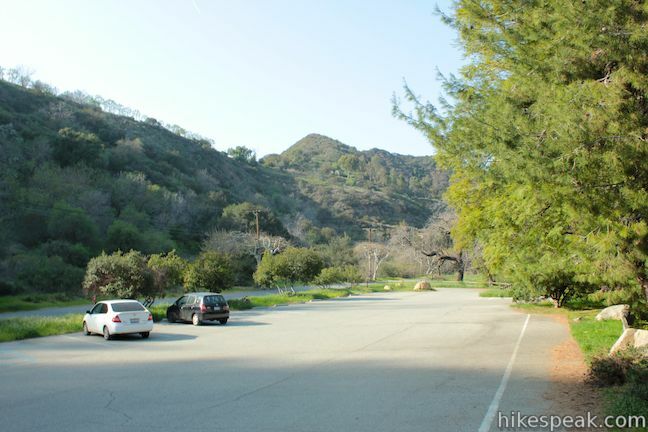 Straight ahead are bathrooms and a parking area along Lake Drive, which you can follow back to the trailhead. 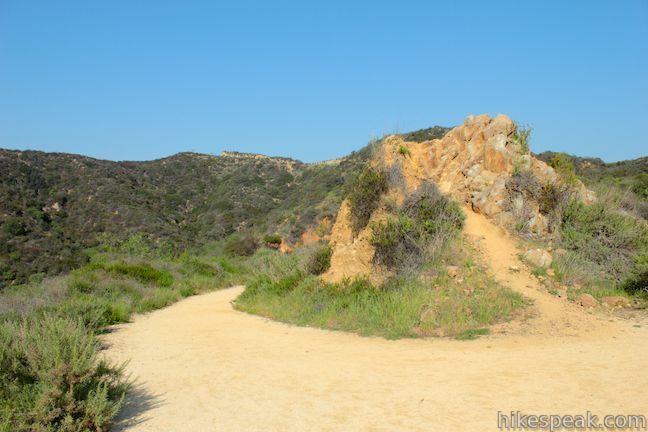 To the left, across the road is a branch of Discovery Trail, which also leads back to the trailhead. 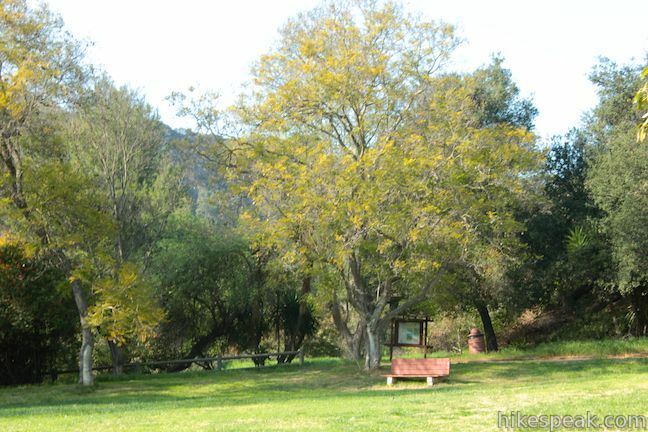 Picnic tables beneath live oaks along Discovery Trail are good places to take a snack break. 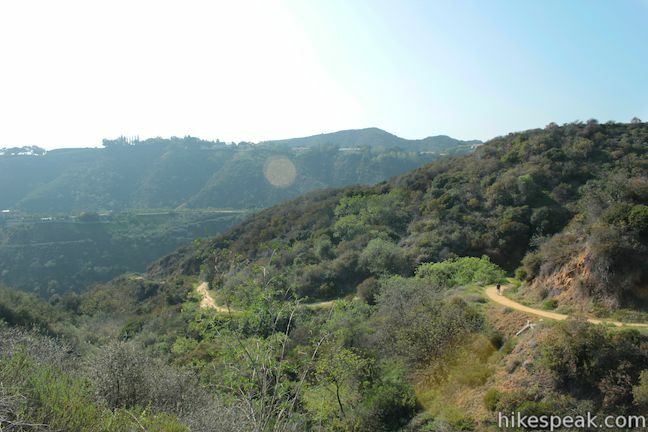 All routes up the canyon are about 0.3 miles long and make gradual finishes for the easy loop. 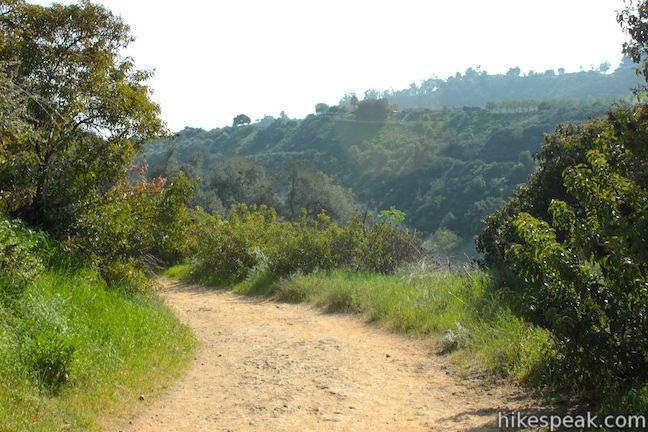 From the viewpoint at the junction 0.95 miles from the trailhead, turn left, following a bend in Hastain Trail that leads higher up the ridge east of Franklin Canyon. 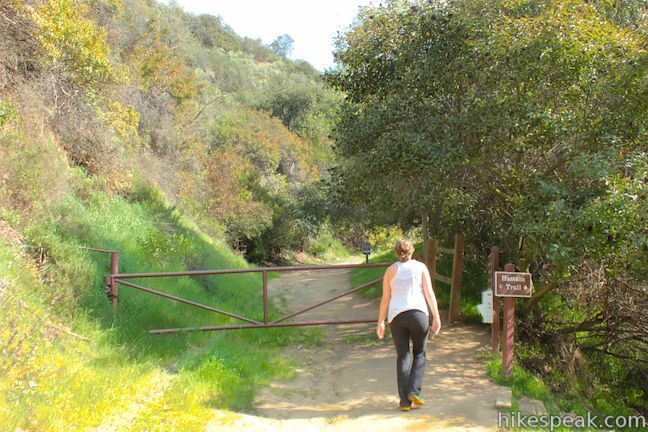 You will pass through two more open fences over the next third of a mile as you progress northeast up the ridge. 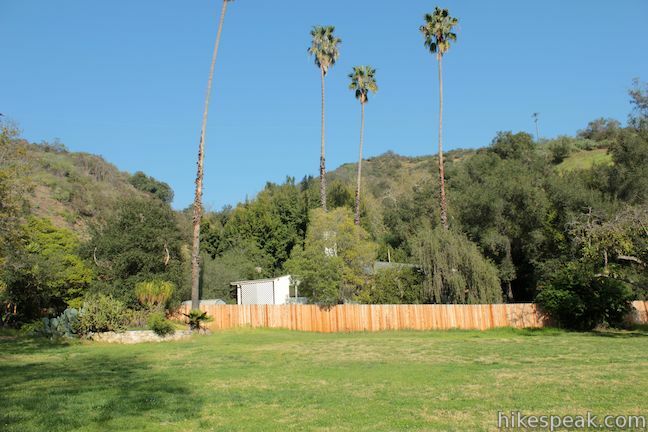 Just beyond the fences, step out to a landing on the right for a view east and south over Coldwater Canyon and Beverly Hills. 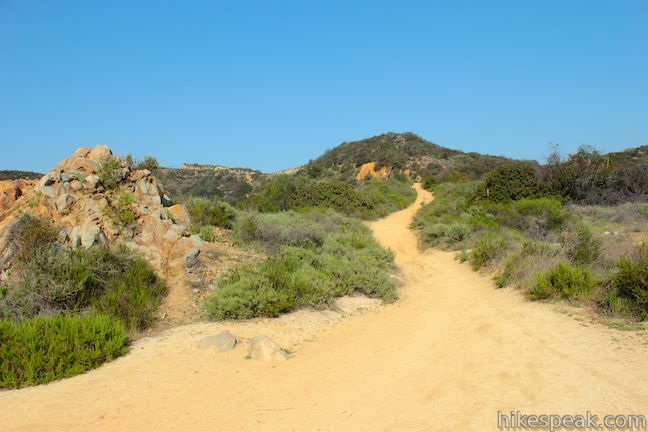 Continue up the trail until you come to a junction with a single track breaking off to the left. 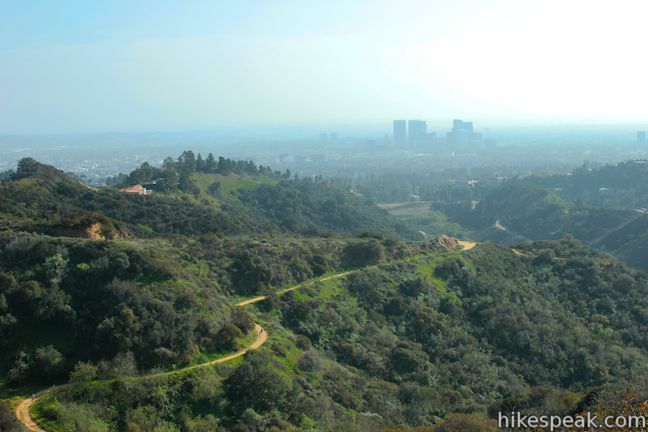 This is the high point of the loop, 1.35 miles from the start. 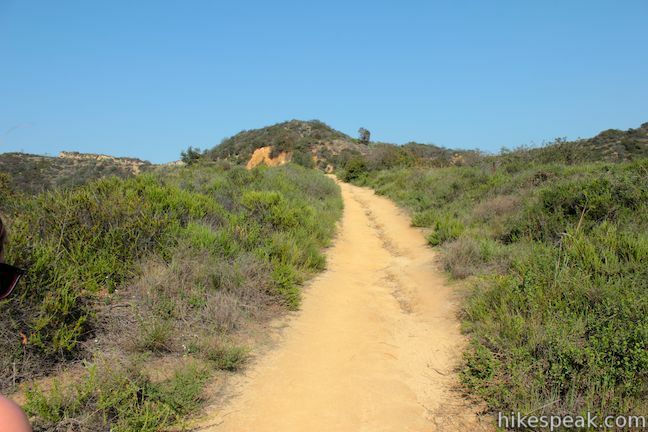 Turn left and begin down the steep ridge trail, leaving the fire road, which continues up the ridge toward houses. Heading west down the single track on the ridge, you will pass one more section of fence, the fourth of the loop. 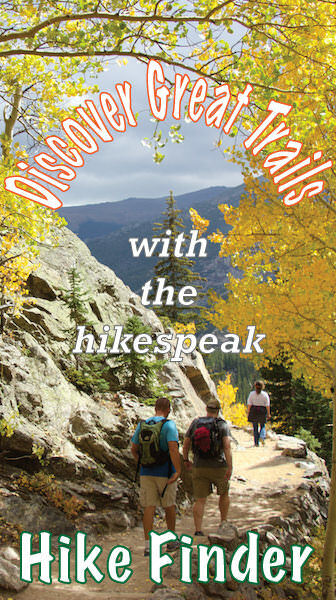 There are loose stones on top of firm ground, so be attentive on the slippery descent. 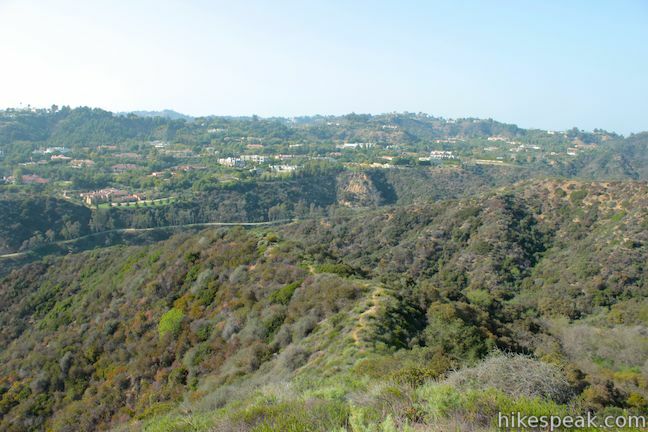 Enjoy nice views down the ridge and south across Hastain Trail toward Beverly Hills. 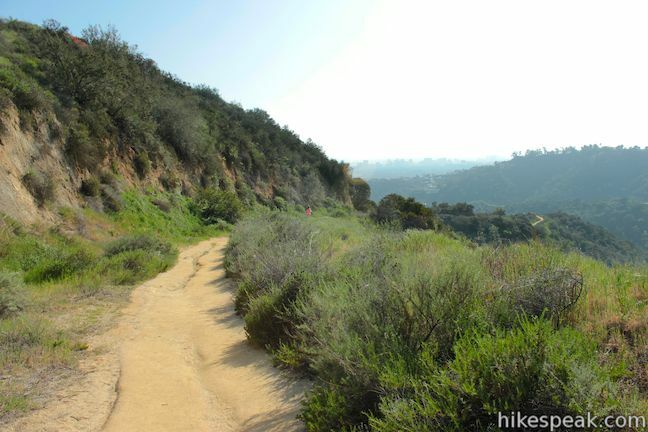 After descending 425 feet in 0.45 on the ridge track, you will meet back up with Hastain Trail. 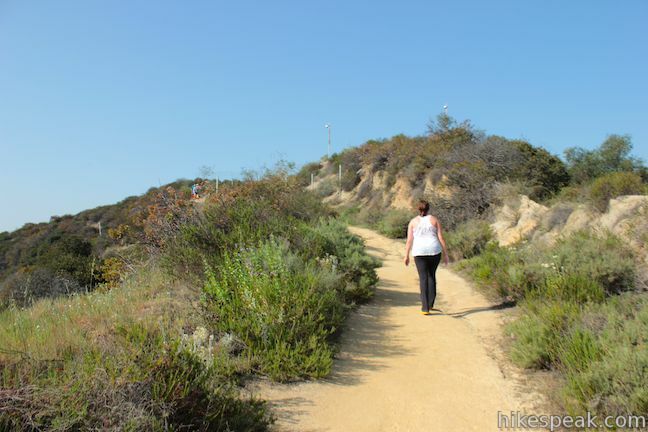 Turn right and hike 0.4 miles down to the bottom of the trail, completing the 2.2-mile loop. 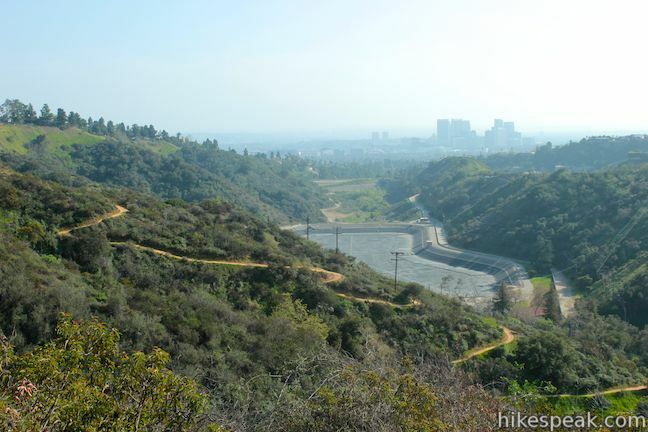 Access to the top of Hastain Trail has been threated by development. 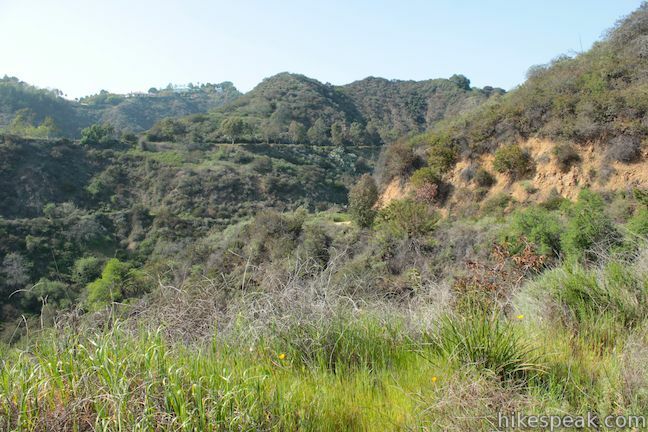 Courageous hikers fought to keep the trail open and exercised a court-upheld easement to prevent a developer from blocking access to the trail. 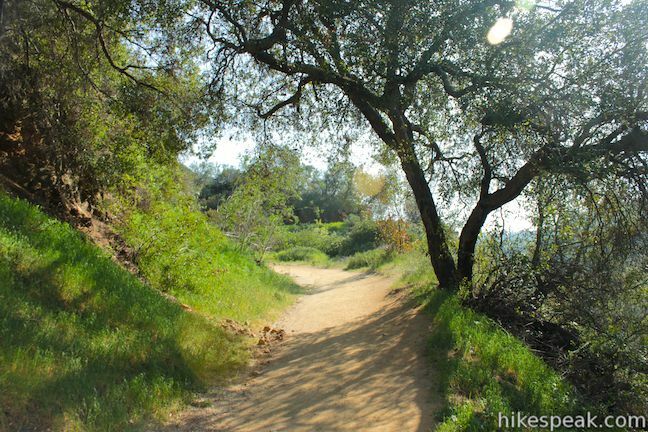 The battle over the trail continues, so go ahead and flex your right to hike! 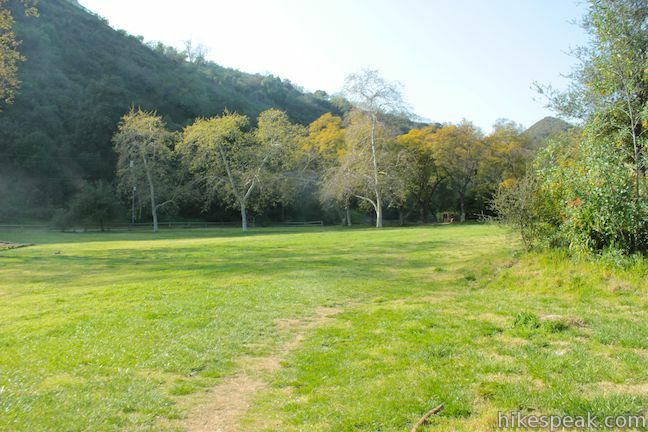 Franklin Canyon Park preserves 605 acres in the Santa Monica Mountains including a former ranch acquired by the Santa Monica Mountains Conservancy in 1981. 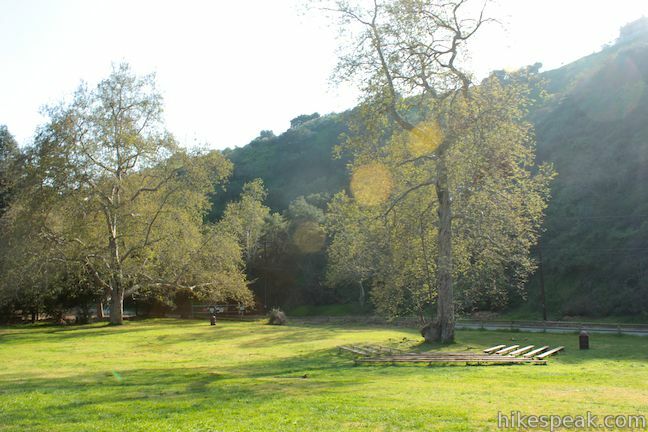 Dogs are allowed on leashes in Franklin Canyon Park. 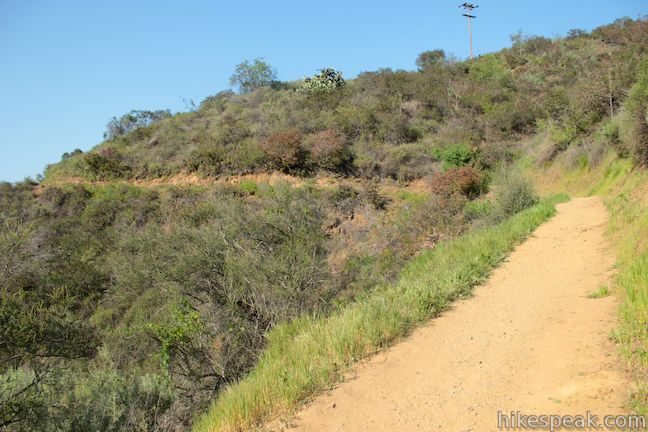 Bikes are allowed on the wide section of Hastain Trail but not on the single tracks down into Franklin Canyon. 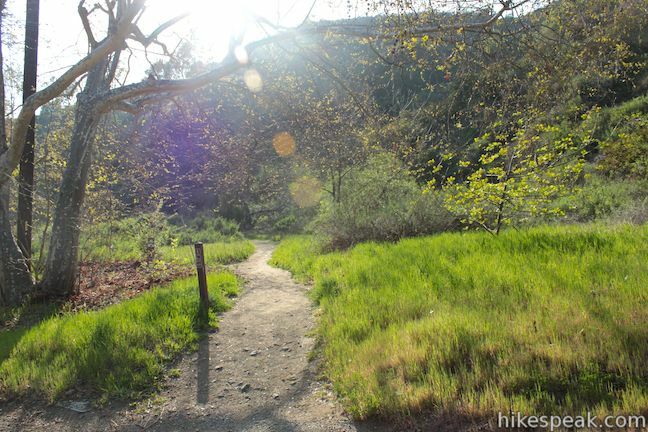 No fee or permit is required to hike Hastain Trail in Franklin Canyon Park, so get out and enjoy! 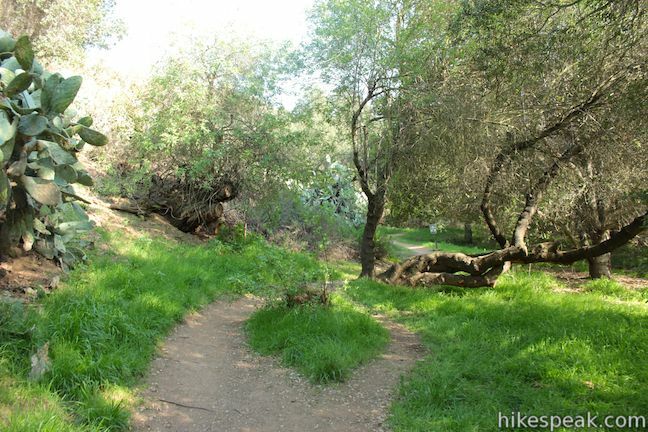 To hike farther in Franklin Canyon Park, check out Franklin Canyon Lake Loop and Chaparral Trail, located just up the canyon from Hastain Trail. 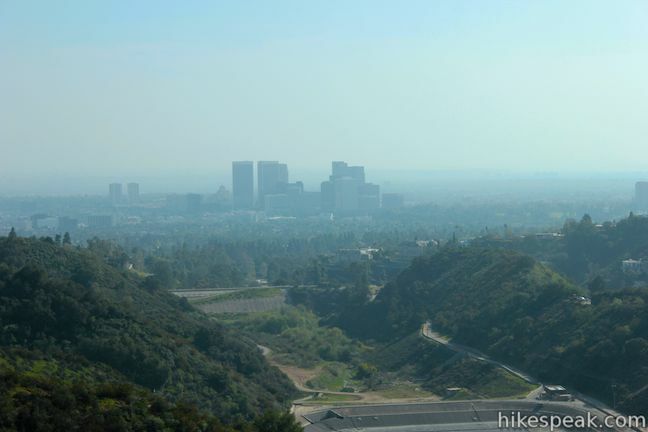 To get to the trailhead: Take Santa Monica Boulevard to Beverly Hills and turn north on Beverly Drive. 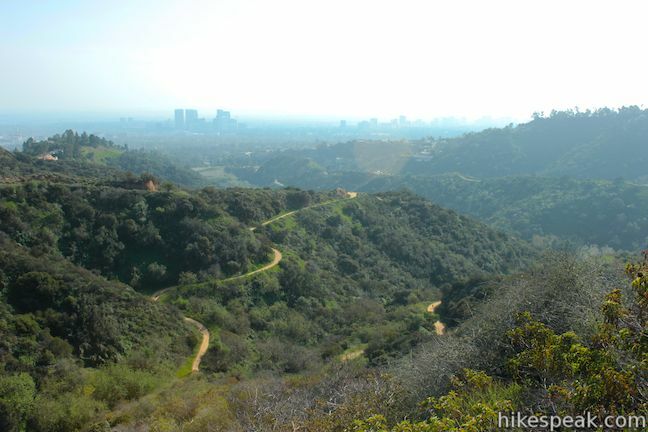 Go 1.3 miles and turn left to continue up Beverly Drive. 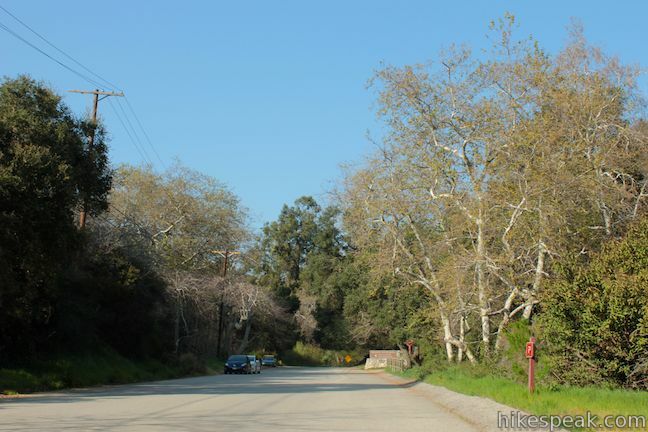 After another 0.3 miles, make a second left (at a split with Coldwater Canyon Drive) to proceed up Beverly Drive. 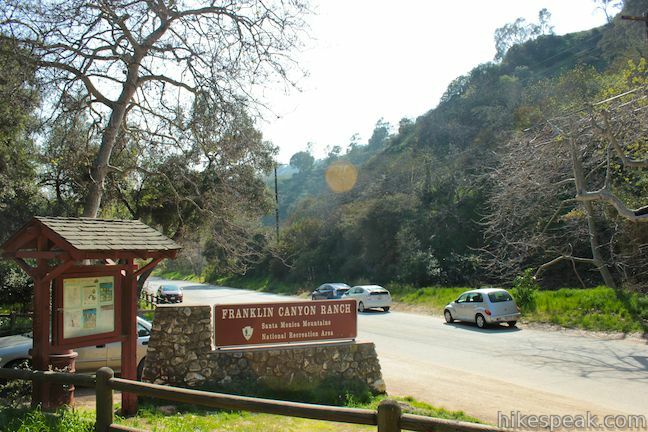 Go 0.9 miles and turn right up Franklin Canyon Drive. 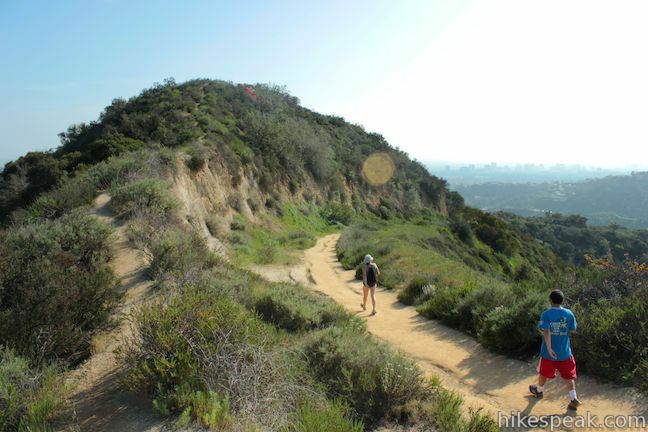 Go 1.1 miles up the ridge, entering Franklin Canyon Park. 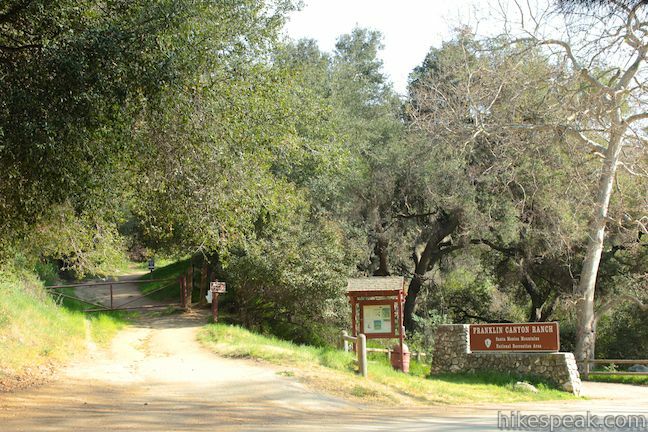 Turn right down Lake Drive and go 1/3 of a mile to the start of Hastain Trail (on the left) where roadside parking is available. 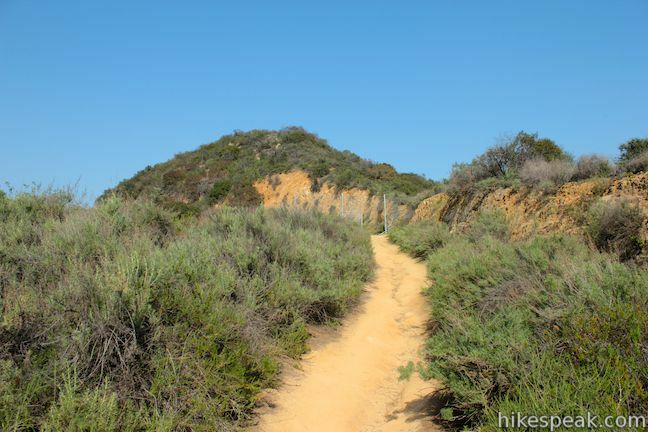 The single track trail coming down from the top was dicey, IMO. 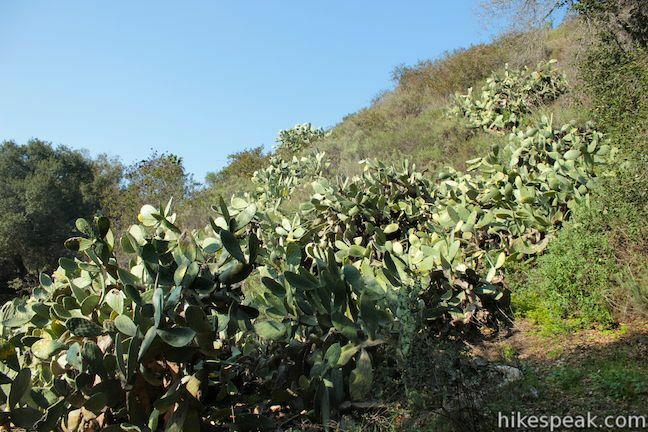 It is not well-maintained, so the trail is very narrow and brush was scratching my legs as I tried walking through. To be honest, I was pretty scared that I would hit a point where it would be impassable and then I would have to backtrack. 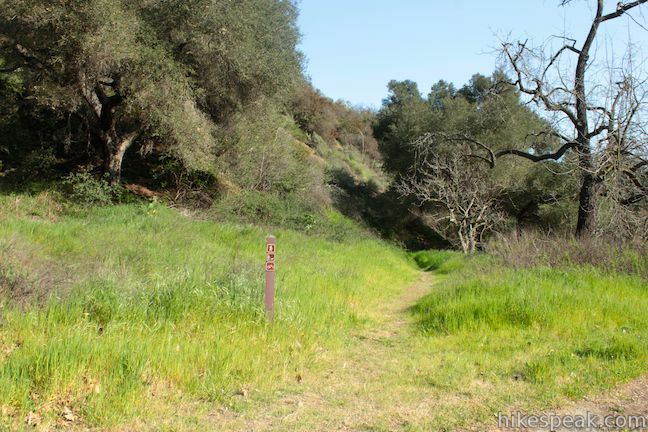 However, to my relief, it did in fact meet up with the main trail. Thank goodness there is cell reception up there (Verizon), so I could check my location…because it was questionable at times!! I saw a number of people get to the top and just turn around and come down the way they came up, because they didn’t want to risk it. 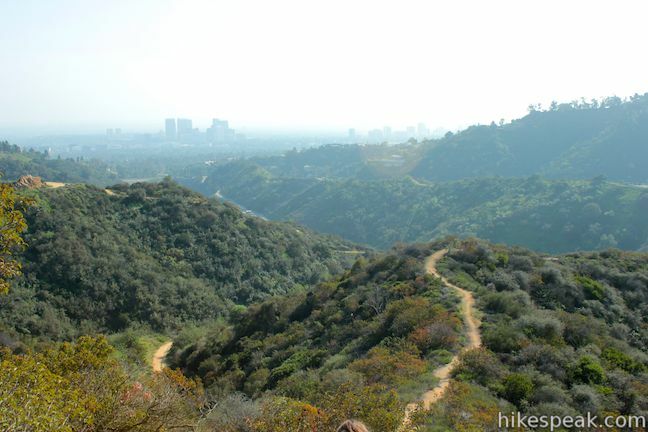 The loop coming down aside, this was a great little hike! Great views, enough people to make it feel safe, but not crowded. 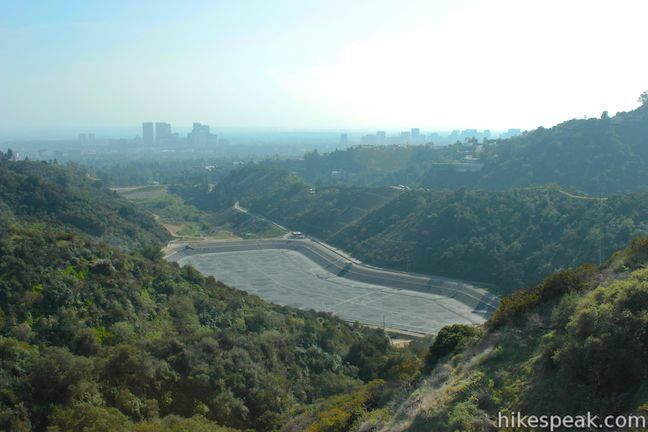 I think The Big Valley was filmed at the Franklin Reservoir. 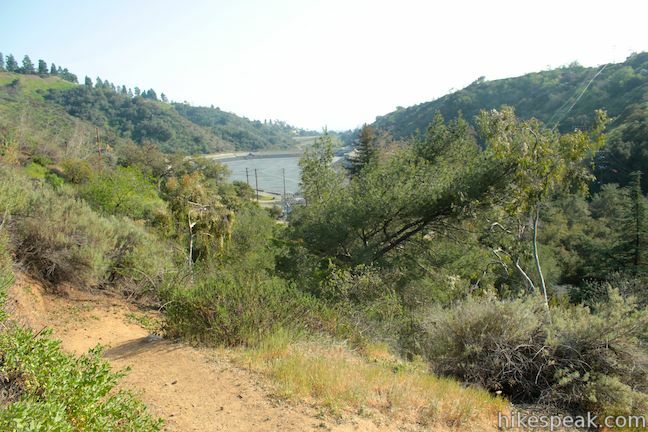 The directions to the trailhead are a bit confusing, as the trail both starts and ends near Lake Drive.